For sure, the unequivocal statement by Gen Raheel Sharif that he would step down at the end of his three-year term sets a new precedent. But was this annou­nce­ment, made some 10 months before the retirement date, necessary at all? Some would argue that it was meant to end the debate over extension in his service. However, it does not sound very convincing. It is surely the right decision not to seek extension. But a public announcement and that too at this early stage does not seem rational. In fact, the Twitter message of an over-effusive ISPR chief has inevitably triggered a new and unnecessary discussion on the issue and may fuel premature speculation on the succession. It is expected from a professional soldier to bow out gracefully rather than to seek to prolong his tenure. And there is little doubt over Gen Sharif’s professionalism. There is at least one precedent when a Pakistani army chief refused an extension. It was Gen Waheed Kakar who declined the offer made by the then prime minister Benazir Bhutto. What is most remarkable is that there was no public statement on the matter. He never appeared in public after retirement. But it was a different story when Gen Ashfaq Kayani was given a three-year extension by the civilian government of the PPP. The rationale presented by the then prime minister Yousuf Raza Gilani was that it was not prudent to change the command at a time when the military operation in the tribal areas was in a critical stage. This argument carries little weight. It was certainly a political decision by the PPP government that felt more comfortable with a known general with whom it had worked for three years at the helm. Of course, Gen Kayani’s own desire to stay on also mattered. The decision surely did not go down well in the ranks particularly among the general officers. It is a different thing when the military rulers give themselves an extension compared to an army chief getting it as a favour. It is expected from a professional soldier to bow out gracefully rather than seek to prolong his tenure. Many agree that the extension tarnished the reputation of Gen Kayani as a professional soldier and weakened his authority. Unsurprisingly, his second term is remembered more for inaction and dithering on critical issues particularly on extending the counter-militancy operation to North Waziristan and other parts of the country. Gen Kayani was also drawn into an intense controversy over the US Special Forces raid that killed Osama bin Laden in a compound in Abbottabad. The very fact that the world’s most wanted terrorist had lived for years in a high-security zone close to the country’s premier military academy caused the nation huge international humiliation. His failure to accept responsibility for the intelligence lapse further weakened Gen Kayani’s moral authority as army chief. That must have weighed heavily on Gen Sharif’s decision, though there is a huge difference in the persona of the two. Undoubtedly, his bold leadership in the war against terrorism has earned Gen Sharif the mass popularity that no other Pakistani army chief has enjoyed. He set a new standard of leading from the front. Whether it was spending Eid with the troops in North Waziristan, visiting the flood-hit areas or attending the funerals of fallen soldiers and civilian victims of terrorism, the ubiquitous general always showed up. Symbolism does matter, particularly, at a time when a national tragedy occurs. Not surprisingly, the hyperactive general has dominated the front pages of newspapers, much of the time, stealing the limelight from the civilian leadership. His stock rose especially after the terrorist attack on the Army Public School, Peshawar when he pushed a national counterterrorism policy. The military has become much more active in internal security matters. That has catapulted the institution’s rating in popular opinion to a new high. This unprecedented high public profile of the army chief as saviour has also been meticulously projected by the military’s public relations department that wields far more influence on the Pakistani media now than before. The posters and banners carrying his larger-than-life pictures that have sprung up across the country may not just be attributed to a show of love for the general. It is somewhat orchestrated as well. There has been a concerted public campaign for the extension of Gen Sharif’s term, with some political leaders joining the chorus. Former president Gen Pervez Musharraf publicly endorsed the demand saying that continuity in command was necessary for the successful conclusion of the army’s counter-insurgency campaign. 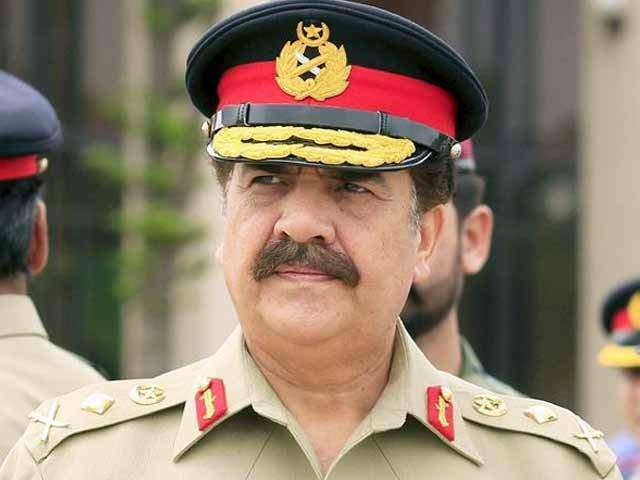 For sure, Gen Sharif has not shown any political ambition, yet civil-military relations have not been free of friction. The military has been more assertive during his tenure. He has become increasingly active on the external policy front reinforcing the widespread perception that the military has been more actively directing foreign policy. It is not incidental that the prime minister has been taking him along on some critical foreign visits, mainly to the Middle East and Afghanistan. It is certainly a hard decision to go into retirement for a general who has been made into an iconic figure. But that image could not have been sustained had he decided to stay on. Surely his decision not to prolong his tenure has been widely appreciated. Yet there was no need to go public on the issue prematurely. Nov 27, 2016, his retirement date, is still a long way. Given the unpredictability of Pakistani politics one can expect anything to happen in between. But one does hope that the general keeps his word and shows that the institution is more important than the individual.